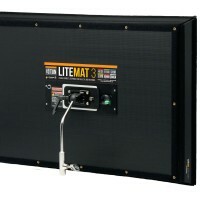 The LiteGear LiteMat 4 is the largest of the four LiteMats we have. If you’re looking for something a bit smaller try the LiteMat 3 or even the LiteMat 2L if you are working in a tight space. 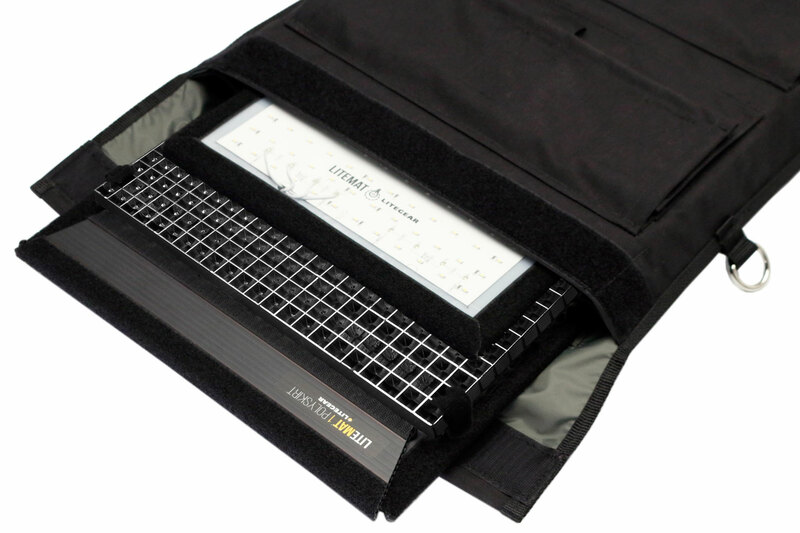 The LiteMat series provide portable, robust soft light solutions that you can rig anywhere. The LiteMat 4 and the rest of the series gives you something different. Evenly spaced, colour-correct LEDs spread across a larger flat area create soft light that can doesn’t need diffusion. This “soft-through-pixelisation” is really bright. The light is less than 2.5cm thick and only weighs 2.14kg. 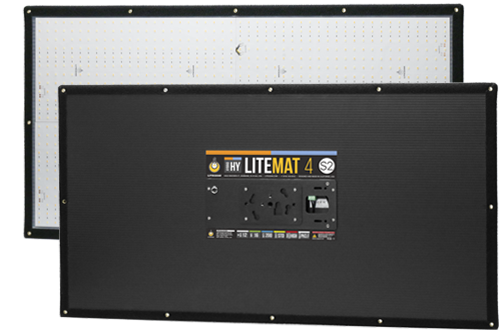 If you do need to soften the light further the LiteMat 4L and its cousins come with 3 types of diffusion included. 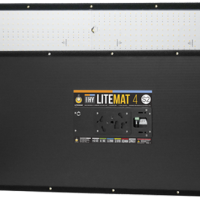 Although it’s larger the LiteMat 4 is just as versatile as the smaller models. 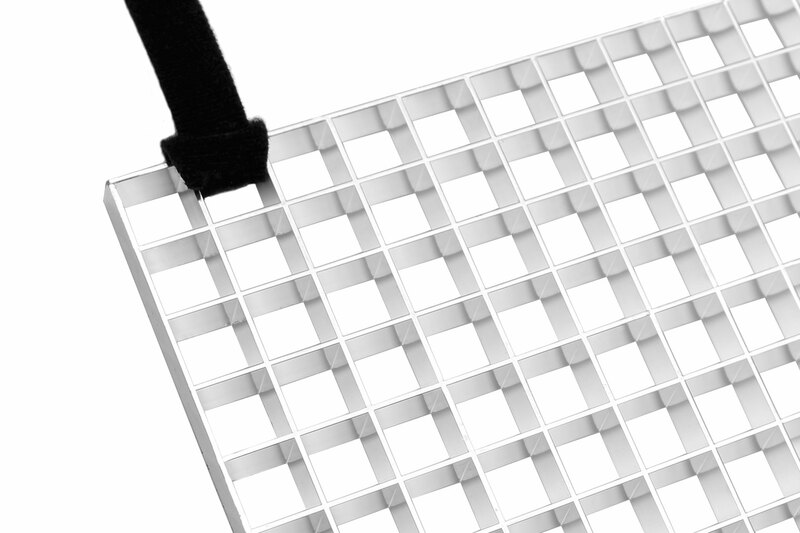 Use it as a keylight with a stand, stick it to a wall with Velcro® or mount it overhead – it’s that easy. 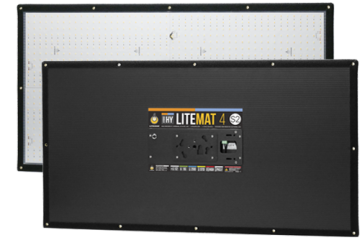 The LiteMat 4 is a hybrid fixture that can be set to tungsten or daylight. The Kelvin output ranges between 3200 and 6000K. You get the white balance you need without filters. 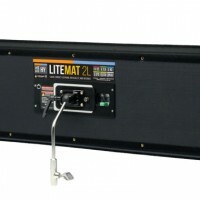 The LiteMat 4L LED kit includes a dimmer to give you fingertip control over both colour temperature and brightness. 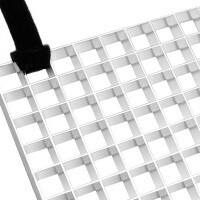 Our LiteMat 4 LED kit includes 3 diffusion options, a really cool parasquare louvre eggcrate and a power cord. It can also run off a battery, so ask if you need a battery kit for it. The head unit features 1152 genuine VHO Pro LEDs covered by a thin, clear polycarbonate layer and bordered with Velcro® “loop” fastener so it’s sturdy and light. The kit includes a Kino Flo ‘k’ mount so it will fit onto virtually any stand. A powerful, flexible soft light only 23mm thick! Quick bit of maths please: required Please check your adding up. Total of 8 + 3 please. 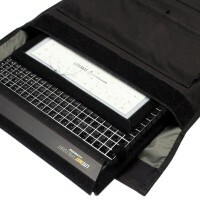 thanks for forwarding on information about the LiteMat 4 LED kit.